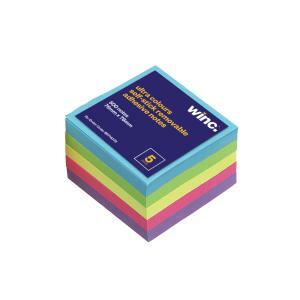 Winc Self-Stick Notes are available in a pack of 5 ultra assorted coloured pads of 100 sheets. With repositionable adhesive on the back, these Self-Stick adhesive notes help to capture messages, telephone numbers and to-do items. Dimensions: 76(h)x76(w)mm.